We have a constant budget crunch, and property tax caps (implemented in 2011) mean that we need more residents in our city to pay for our expenditures. Holding the parcel open for single family dwellings will not likely help upward mobility options for new residents. The more we discourage reasonable redevelopment of the urban core, the more we risk forcing development to move elsewhere, either to the suburbs, or to another city. We’re building a dedicated transit line that is dependent on ridership, and having more people living along it could hopefully make the line more successful. We have a shot to get this right. I fear that if the Red Line ridership is disappointing, detractors will point at it and mobilize against completing the network. This is just one small parcel, but it seems to be part of a larger effort by the MDC to hold to decades-old plans, as if nothing else has changed. These plans are meant to be guidelines, not sacred texts. Inexcusable on every level. The house 2 houses on Elm is a duplex. It’s still cars come first. 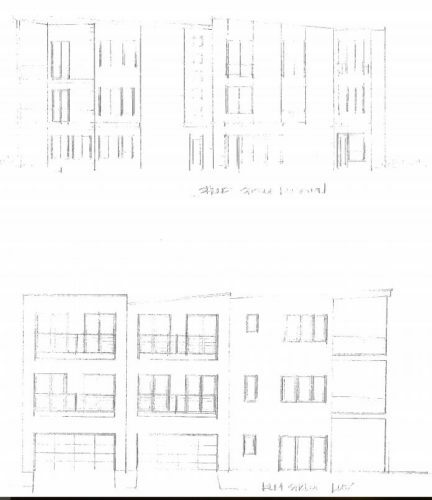 Would it be fair to say that it’s still incumbent on the neighborhood associations, particularly those with established land use committees, to stake out a position on whether any given use of a parcel still fits into their land use plan, regardless of the age of such a plan? It’s not “their” land use plan. It’s a county land use plan. And it’s not really intended to specify the exact uses of particular parcels; if it were, we wouldn’t need BZAs or the MDC to exercise judgement on specific requests. I suppose they aren’t, until you want to use them to support an argument to remonstrate or support you want to. Older land-use plans often try to impose lower densities on historic urban neighborhoods, since post-WWII zoning ideas shunned the denser and mixed-use (“non-conforming”) patterns seen in these neighborhoods. The whole concept of “single family housing” is fraught in historic neighborhoods, since what we would now call a “single family” dwelling (from tiny cottages to mansions) may have housed multiple families (related or unrelated) for much of its early history. 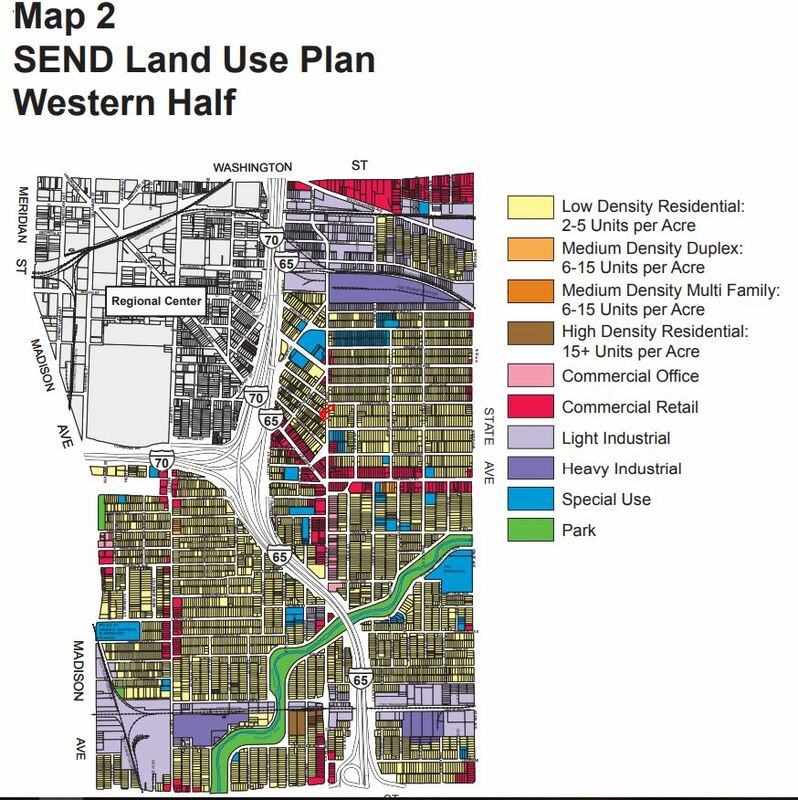 This means that most of Indy’s urban neighborhoods, even those that have seen extensive development, likely have a lower population density today than they did before WWII. 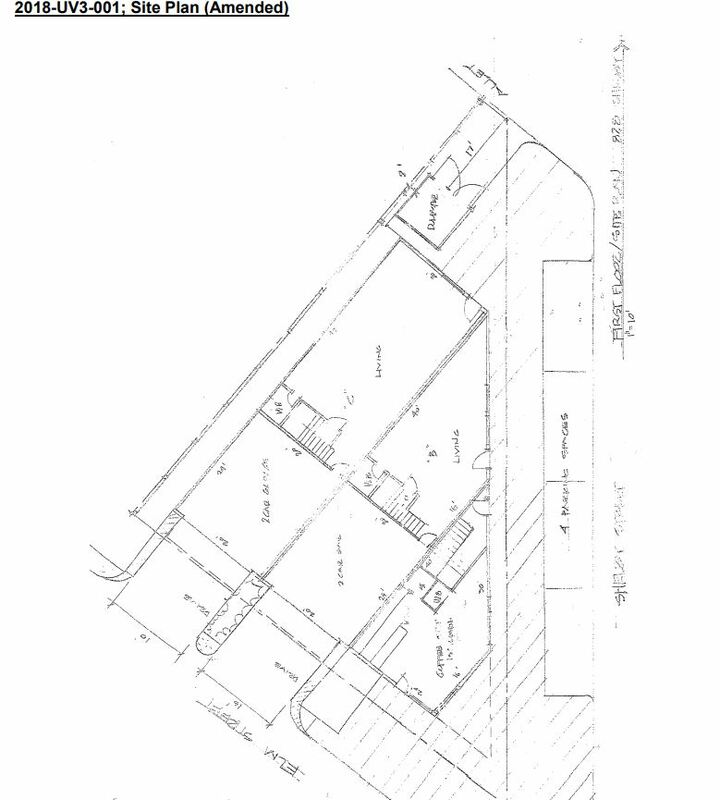 A quick review of Sanborn Maps for this particular site shows that it formerly contained a house, a commercial building, and a stable. The scale of the proposed development seems to respond to the height of the historic duplex and church just to the northeast across Shelby Street. Good comments. I’ll add that since the Indy Rezone in 2016, the definition of “single family home” is now up to 4 units!!! I’m not sure why they didn’t rename it to residential or something similar to take the “single family” part out. Multi-family is more than 4 units. So does that mean up to 4 units are allowed on any given single family lot? I think so. 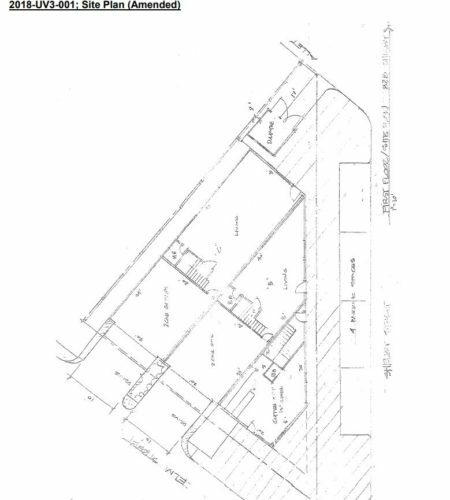 I know for sure that a dwelling with a carriage house (garage with apartment above) is allowed by right. I haven’t seen anything regarding a limit other than the link on the next comment down. I’ve not looked super hard though. I think the main issue you start to run into is parking (1 space per unit). Also, setbacks and open space requirements are unchanged and ridiculous. 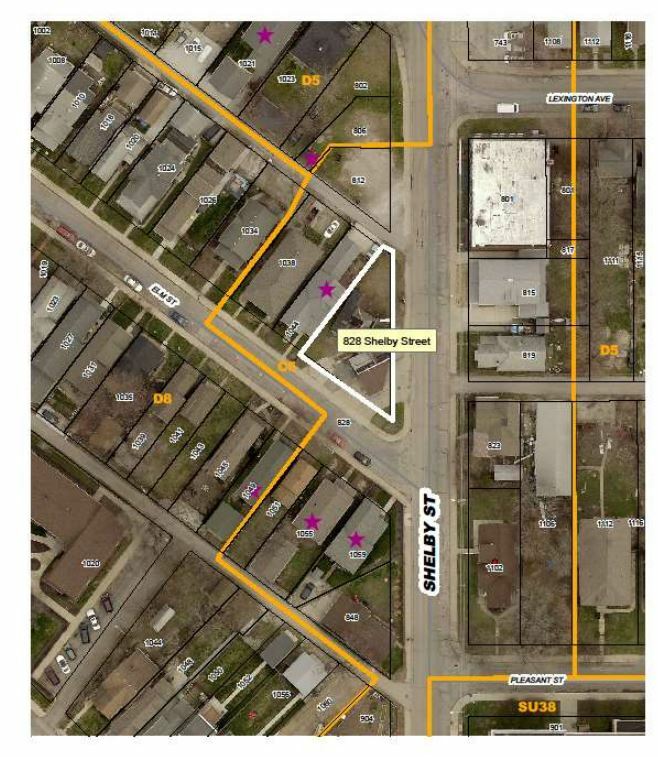 15ft setbacks and 55% open space on a 40×100 lot? LOL. That’s actually not what the definition of a single family dwelling is in the Ordinance. It does, however, define a family as no more than four unrelated individuals. Single family homes can be attached, but each unit is still a single unit. This document shows the various dwelling configurations. It includes single family and up to four units under the same heading. Multi-family is five or more. Row houses and townhomes are their own section. Do you have a link to the definition of family? That’s just stating the parking requirement for two types of land uses. It is the requirement for single family dwelling AND (not being) dwellings with four or more units. Family is defined in the definitions section of the Ordinance. I would suggest looking at the use table rather than the parking requirement table. It should be noted that federal legal definitions of a housing type will influence the financing that is available for its construction, and the terms of the financing that will be available. Are you really saying that US Code that defines terms as they relate to banking has any bearing on municipalities ability to define terms of it’s ordinances? I’m nassure you they can, and they do. Supreme Court cases over zoning issues have been framed around specific definitions of an ordinance. If the highest court in the land uses them, you can rest assured they are legal. Nice try to make something up on the fly.